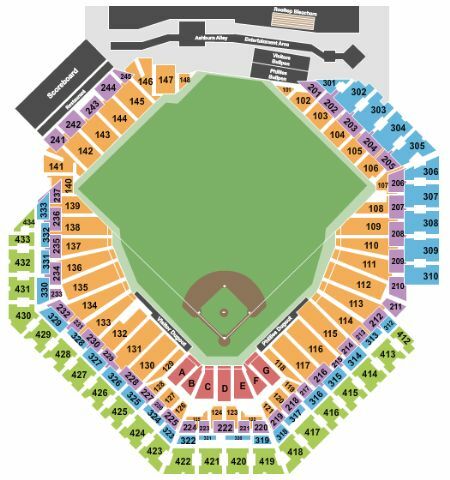 Philadelphia Phillies vs. San Francisco Giants Tickets - 8/1/2019 - Citizens Bank Park in Philadelphia at Stub.com! Mobile Entry Tickets. Must have smart device on hand to enter event. Do not print these tickets. Aisle seats. Tickets will be ready for delivery by Jul 29, 2019. Mobile Entry Tickets. Must have smart device on hand to enter event. Do not print these tickets. Club seats includes private entrance, in-seat wait service and access to Club Bar & Grill. Tickets will be ready for delivery by Jul 26, 2019. Hall of Fame Club provides a padded seat along with access to private, climate-controlled lounges featuring two full service bars, large screen TVs and upscale food. Mobile Entry Tickets. Must have smart device on hand to enter event. Do not print these tickets.